. : Metroid prime hunter :. Home / Nintendo DS game manuals / Metroid prime hunter :. Metroid prime hunter manual Just click to open it in a new window then print the manual. 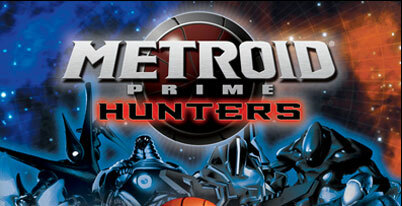 Chronologically, Metroid Prime Hunters takes place in the Metroid series after Metroid Prime and before Metroid Prime 2: Echoes. In the adventure mode, one plays as the primary bounty hunter Samus Aran. In the introduction to the game, Galactic Federation empaths receive a strange telepathic message stating that the key to the "ultimate power" resides in the Alimbic solar system. The Federation commissions Samus Aran, the renowned bounty hunter, to investigate and retrieve (or neutralize) this power. Despite the efforts of the Galactic Federation to encrypt the message, six other bounty hunters picked up the broadcast, proceeding to the system to claim the power as their own. Upon arrival to the system, Samus finds that the Alimbic society has long since been destroyed. Investigating the two planets and two space stations orbiting the Alimbic sun, she gradually pieces together the history of the race. The Alimbics were a peaceful, spiritual, highly evolved society. Eventually, the Alimbic utopia was shattered when a meteor struck, and out of it emerged a monstrous creature that they would name Gorea. Gorea copied the cellular structure of the Alimbics, physically mimicking them and their weapons, and destroyed their civilization. The dying act of the Alimbics was to seal Gorea away until another could destroy it. The entire race transformed themselves into focused telepathic energy, then confined Gorea into a "Seal Sphere" which they placed in a Starship called the Oubliette. The ship was launched into a dimensional rift called the Infinity Void, to be released only when eight keys called "Octoliths" were assembled. Warding off the competing bounty hunters, Samus retrieves the eight Octoliths from the powerful automated defenses (Cetaphid & Slench) in the Alimbic Cluster, and opens the Infinity Void. Here, she and the other six hunters confront Gorea, who originated the telepathic message in an attempt to free itself. The beast absorbs the powers of all of Samus' rivals. If Samus fulfills a prophecy by shooting switches in a specific order with specific weapons that match their color, Gorea's true form is revealed. Samus manages to defeat Gorea in the final showdown by using the Alimbic weapon called the "Omega Cannon." As she along with the other hunters evacuate the exploding Oubliette on their ships, three Alimbic spirits appear before a suitless Samus and honor her with a salute.